I was watching TV last night, waiting for the show I have started watching. The football game, which I was not watching, was over and so I surfed the channels. I can across a show about planets. The first episode was part way thru. It explored the possibility of Planet Nine. (Not to be confused with Planet X which was reportedly going to crash into Earth on September 23 ending life as we know it. That planet does not exist.) 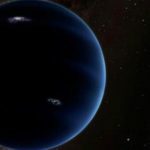 Some astronomers and other scientists have postulated that a ninth planet exists in orbit beyond Pluto. (The second episode was on the latter planet). I found the show to be interesting on several fronts. I find myself interested in space, planets, suns, stars, asteroids, comets, and the like. Not enough to really memorize things or become any kind of expert on the subject. Mostly, the heavens are simply reminders of the wonder and grandeur of our Creator. And they remind me that I need to be very careful about making grand theological statements. I don’t (dare I say everyone falls into this category) know most things. To pretend otherwise is simple arrogance. That ‘I don’t know’ is the thought that I felt last night. As I watch the show I was struck by the wording of the astronomers, biologist, and other scientific types they interviewed. Several words were used repeatedly, ‘if’, ‘maybe’, ‘perhaps’, ‘possibly’ and the like. At one point, when talking about the possibility of finding life at the edge of our solar system the following statement was made. Or at least my rendering as I best remember it. “If Planet Nine exists (and that is not a certainty), and if we can find it (they aren’t even sure where to look), and if it has large enough moons, and if one of those moons has the right essentials for life, then it is possible that we might find life. My count was 5 ‘ifs’ and 2 ‘maybes’ and a couple of ‘possibles’. It was an hour of ‘might be’. What bothers me about last night’s show, and others like it, was many people will turn off their TVs and head to work this morning all excited about Planet Nine. They will talk about it as if they know something about it. How it might have the three essentials for life and that isn’t it exciting to know that life must surely exist elsewhere. (Oh, those three essentials are heat (energy), water, and organic material which are complete carbon molecules and proteins.). Why? Cause some scientific guys and a couple of scientific gals said so. I hate to tell people, but there are limits to our beloved science. For one, science doesn’t always ask the right questions, and cannot ask them. ‘How’ is one they can maybe do, ‘why’ not to well. Other disciplines are needed for other questions. Philosophy, psychology, art, literature, and theology are science’s equals. Another problem I have with sciencists is that many currently have an agenda. It might be hidden, it might not be. Much of what science is trying to do these days (in my not so humble opinion) is prove theology and traditional ethics wrong. If we can find life at the edge of the solar system, then there is no need for a creator. Or so the thought goes. If DNA answers all our questions, then ethics becomes moot. If cats do certain things by instinct then it is OK for humans to do it. Or not do it, depending on the ethical challenge before us. I love science. But it has its limits. I am still confused about eggs and butter. Several decades ago science told us they were on the bad list. Now they are not, well, maybe not because some people still want to believe that milk will kill you and that bacon was the real forbidden fruit in the garden. I love psychology and ethics. I am not so much into philosophy mostly cause I get lost in the arguments. Yet, most significantly I love theology. I admit my bias. I believe in God. I believe he is creator and sustainer of that creation. And I believe that the answer to the evil, sin, hate, and ugliness of this world has just one answer. Jesus Christ who died on the cross. Science, psychology et. al., might give us some insights to how this world works. Yet, there is one source of information we dare not overlook, God’s Word.